Is your newly built house ready for plastering but you can’t figure out which material would be the best for interiors and exteriors? It is a common issue because of the wrong selection of material results in decaying of plaster in a short period of time. 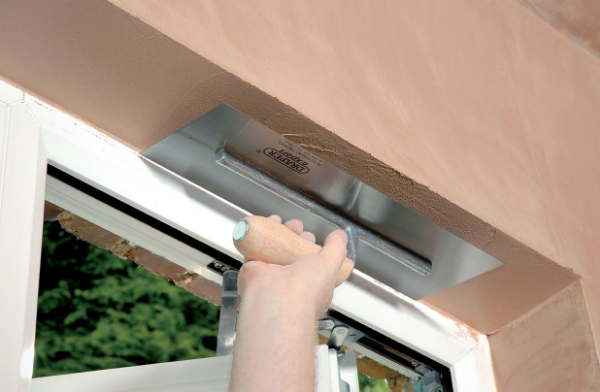 Plastering is an expensive service and you cannot repeat it on 2-3 years; thus the selected material must be strong enough to survive for a long time. Every area of the building requires different kinds of material, but generally, people prefer to apply Portland cement all over. As per the environmental impacts, interior, exterior, roof and bathrooms must be plastered with different materials. Here is a complete guide to gain information regarding the right selection of plasters. As per the current availability, gypsum is the best material if you want to use it for interiors. When it comes to the interior coating, you need to be aware of this fact that it must be soft, smooth and well finished for applying paint. The best thing about this material is that it takes only 2-3 days to set harden. In the case of interior walls, you need a material that dries out rapidly because sunlight doesn’t reach there. Also, it is capable of hiding minor cracks due to the flexible nature. Thus, you can refer to it as a perfect long-lasting material for inner walls coating. As compared to the traditional sand and cement, it is almost 50% less dense as compared to the cement that reduces half of the structural load. The low thermal conductivity is one of the strongest reasons why it is a great choice for the inner wall’s coating. This property of gypsum keeps the houses cool in summer and warm in winter season. Humid and moisture prone areas like kitchen and bathrooms need different plastering material because gypsum can easily catch moisture. Lime plaster is the best material to use in these places. It is a breathable mineral that doesn’t retain water and protect the inner bricks or mortar from decaying. Lime doesn’t involve any chemical composition that makes it a perfect option of eco-friendly toxins-free bathrooms. As compared to the synthetic plasters, it looks much better after giving a finishing touch. Just like gypsum, lime also involves self-healing capability against wall cracks. When it comes to the external plastering, it must be robust enough to survive the harsh environmental impacts. Portland Pozzolana cement is the best ingredient to apply the exterior coatings because of its fineness value. Its fine particles perfectly fill the pores that result in extreme level strength. If you compare the strength of this plastering material, it is way better than gypsum and lime. It takes 28 days to gain adequate strength, but silicate formation process continues after that period of time. Consequently, it attains more robustness as time passes. Author Bio: – The author is a former civil engineer and has great interest in writing articles regarding constructions work. He is working with Coburg plasterers from last 4 years & creates highly informative contents for audiences. His practical knowledge helps a lot to engage readers of different intelligence levels at a single platform.